This convenient desk reference is one of a series of volumes containing carefully selected reprints from the world-renowned Encyclopedia of Polymer Science and Engineering. It brings together the original, complete articles related to engineering properties of polymers and composites, with full text, tables, figures, and reference materials. All articles are by industrial or academic experts in their fields, and the final work has been carefully reviewed by specialists. Arranged alphabetically, the articles cover nearly every aspect of polymeric engineering materials, providing detailed information on methods of manufacture, properties, and uses. Cross-referenced, with an extensive index. 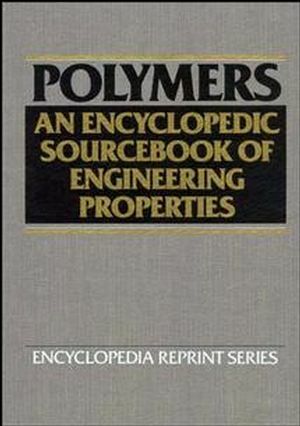 Jacqueline I. Kroschwitz is the editor of Polymers: An Encyclopedic Sourcebook of Engineering Properties, published by Wiley.